In the summer of 2004, I got an amazing opportunity that changed the trajectory of my entire life. I always knew from an early age that I wanted to work in the entertainment industry. 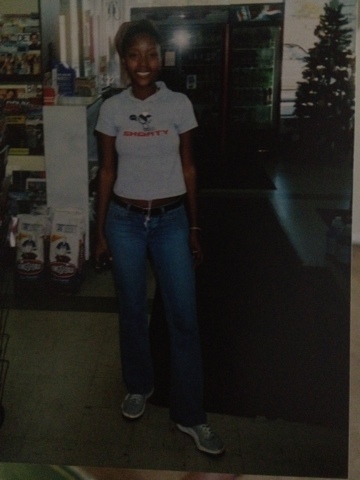 I envisioned myself as the female version of Sean Combs or Russell Simmons. As a matter fact, I had even auditioned for a reality show called the Biz that would have landed me my own record label under Warner Music. Even though I got a chance to speak to Warner Music CEO Lyor Cohen about a young Rihanna, I missed the mark and unfortunately didn't make the show. However failure doesn't slow me down, I use it as a driver to accomplish my next goal. Even after the Biz, against the better advice of friends and family I decided that the music industry was the route that I was taking. Imagine the shock and horror of my African family when I first declared my goals, music they must have mused, "who has a career in that?" If you know me well-you know once I put my mind to something there is no changing it. People would often chastise me citing that the music industry was difficult and impossible to get into. Nonsense I thought, I was steadfast in my decision and I was committed to being a music mogul. I'm the newest member of the Roc!! The first thing I had to do was get an internship in New York City. I was in college in Michigan and my home base was Indiana. I put the word out to all my contacts and hoped that someone would take the bait. My former high guidance counselor asked me if I would be interested interning at Roc-A-Fella Records. Home to rap superstar Jay-Z, Beanie Sigel, an eager Kanye West and many other hip hop luminaries, this was the place to intern. I jumped at the chance! Notwithstanding the fact that I was a broke college student, with no accommodation in NYC and more importantly no money in my pocket, I was NYC bound. With all these cold hard facts facing me, I knew I couldn't let this once in a lifetime opportunity pass me by. Fast forward to June '04 I received confirmation that in the words of Yeezy "I was the newest member of the Roc'. I arrived in NYC eager and full of anticipation. My aunt was gracious enough to let me stay with her but I was so broke, I couldn't afford to pay attention. My internship was unpaid and everyday was a hustle. I worked in the office of Damon Dash/Darrin Chandler. I did what all interns do, get coffee, answer phones and run errands. This was no glamour position. However while I was there, I got to attend marketing meetings, meet influential taste makers in the industry and learn so much about myself. I was in awe of the Def Jam offices and I would take pleasure in going to work everyday. The office was predominantly male but there were a handful of women. The woman I directly worked with was such a blessing to me. She was beautiful, kind, patient and was such a beacon of light, unlike some of the men I worked with. Let me be clear, for the most part the men I encountered were great but there were a few nagging instances were I felt like prey. Picture the jungle where the tiger is eying it's next meal with intensity and focus -some of the men would make me feel that way! The men were merciless in their pursuit and here I was this young intern from the Midwest- talk about a perfect opportunity. I remember this one high level executive would call me into his office just to "watch me walk away". I was in awe of him cause he was super successful but I couldn't believe he was actually hitting on me. It was surreal. Funny story: because I was so broke, one time the executive and I went out on the only date we ever had. After a late night in the City he offered me $100 cash for a cab instead of having his driver take me home. Because I was broke, I took the cab down the street and pocketed the rest of the money. Honey, I stretched that cool cash for the next 2 weeks. 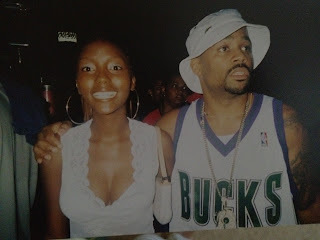 I met Damon Dash a couple of times over the summer and every time he walked into the office he had 4 or 5 assistants with him. He would barely even glance in my direction and would command presence everywhere he went. Side note: if you see him now he is a completely different man, he's so humble. Life will do that to you. I never met Jay-Z while I was there (although I did meet him later) word on the street was that Jay and Damon were not seeing eye to eye. I met all the members of the Roc but the person who stood out the most to me was rapper Jim Jones. I expected him to be all loud and pompous but he was the exact opposite. He was so nice and pleasant, I loved that about him. 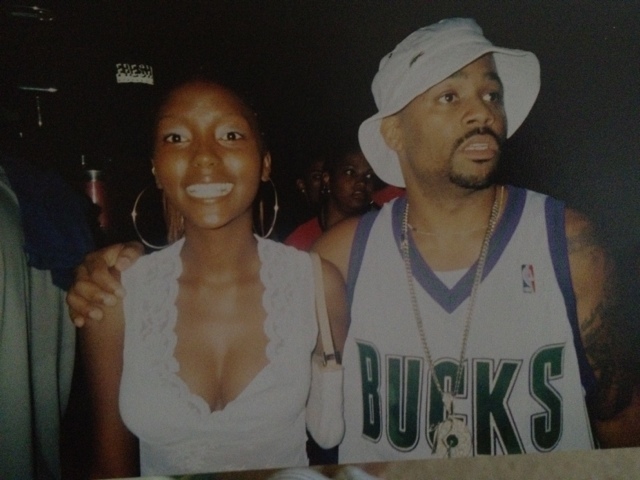 Me with Damon Dash- my goodness I was so excited, check out that cheesy grin. This was before my internship! In 2004 Roc-A-Fella Records was disintegrating into tiny little pieces and would soon be a forgotten memory. It was literally the fall of a dynasty, it was sad to see it crumble like that. All in all my experience at the Roc was life changing. I met so many people that I am still in contact with to this today. Going into to the internship I thought I wanted to work in the hip hop industry but that experience solidified that working in hop hop was not for me. There is so much more to the music industry than what most people know.Working at the Roc really opened my eyes to that. I still work in the entertainment realm, you just wont catch me at a hip hop label. No hard feelings! As I grow and mature I have learned that is to extremely important to do the thing you WANT to do in life. Explore every opportunity you get and always ALWAYS maintain your contacts. They can open doors that education and money cant buy! Hi, I stumbled upon this blog as I searched for music industry internships. As a college student, I felt your struggles in the money dilemma you surpassed and want to praise you on your accomplishments. If you ever get around to reading this, I would kindly like to know if you know of any labels that would be hiring interns. My passion is the same you had and I won't stop 'till I get where I dream of. Thank You.